Small cabinet card measuring approx. 2.5 x 4 inches. Unidentified. 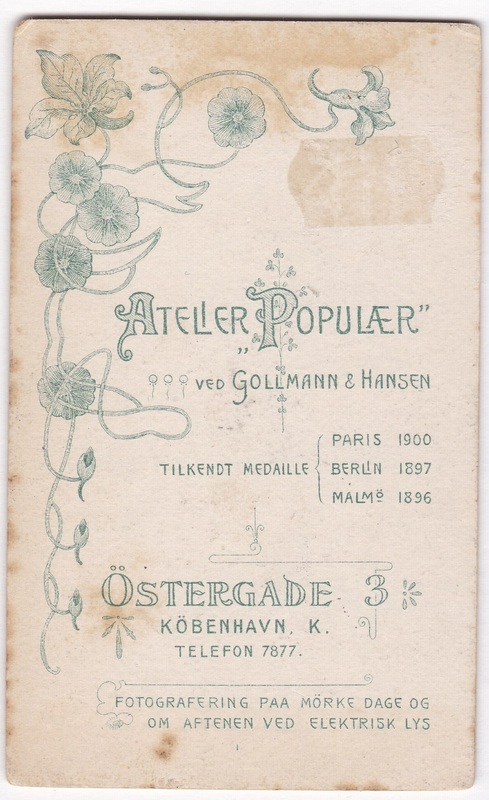 Photographer is Atelier PopulÆr of Copenhagen. Undated, but see below. 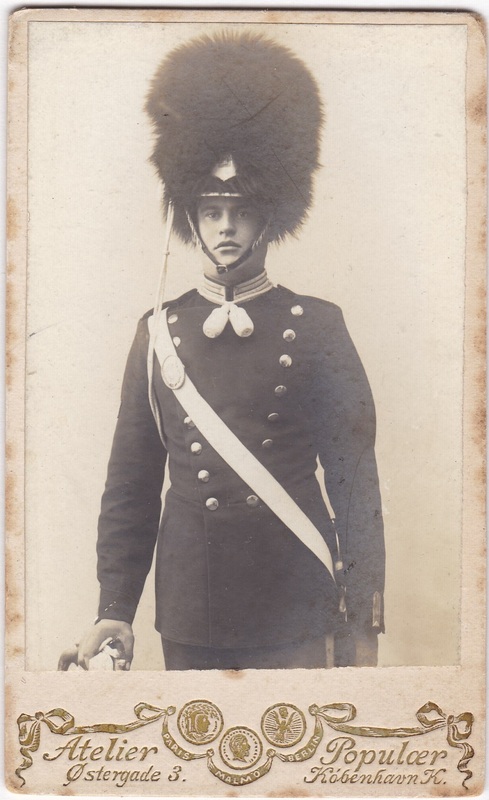 The Royal Life Guards of Denmark are apparently both front-line soldiers and ceremonial guards for royalty, though these uniforms certainly look more ceremonial to me. Most commonly, they consist of a dark blue tunic with light blue pants, though the tunics are red for special occasions. It’s hard to tell which color this one is, though he seems proud to be wearing it either way. As for dating it, I found information about the photographers, along with other examples of their work, on this Danish website here. The studio was run by brothers-in-law Friedrich Gollmann and Ferdinand Hansen, who had several studios. The one at this address was opened in 1893. Hansen left it in 1905, after which his name was removed from the insignia on the back. So I think we can assume this photo was taken between 1893 and 1905.